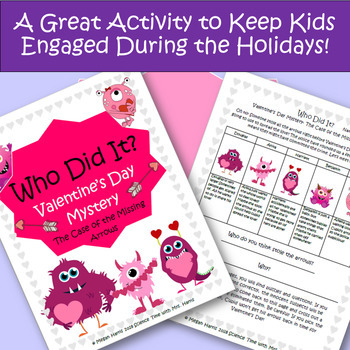 Keep students engaged around the holiday with these "Who Did It" Mystery Puzzle Activities! Students will solve 4 puzzles to eliminate suspects until they identify the culprit! Please refer to individual product descriptions for specific content. Answers keys are included. 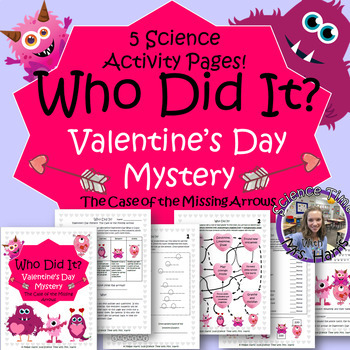 Keep students engaged around the holiday with this "Who Did It" Mystery Puzzle Activity! Students will solve 4 puzzles to eliminate suspects until they identify the culprit! Puzzles are related to Weathering, Erosion, Deposition, Rock Classification, and Properties of Minerals. Answers keys are included. No prep! High student engagement!